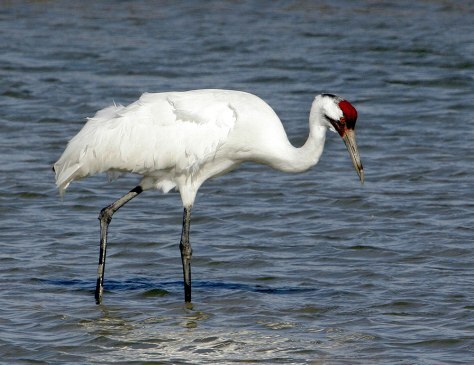 A whooping crane searches for food at the Aransas National Wildlife Refuge near Rockport, Texas. The whooping crane is one of the first species that appears to have rebound from extinction thanks to legislation and public awareness. A record 237 birds have been counted this year.